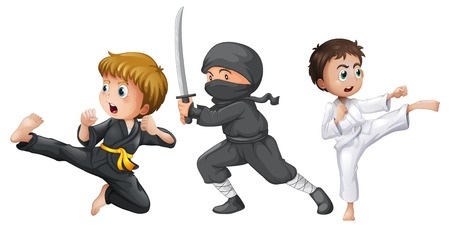 A unique and informative 2 day martial arts training camp where kids will learn the history, culture and techniques used by the ninja in Feudal Japan. Great for kids ages 5 and above! $150 enrollment fee includes a wooden practice sword, rubber (safety) throwing stars, camp t-shirt and snacks each day. You may call us at 503-751-1444 or use our online registration form below to reserve your spot in this fun camp.